Full of family favourites, A Treasury of Songs is a rich and varied collection to read, listen to, sing and enjoy together. Twenty three original songs by children´s author and songwriter Julia Donaldson, brought to life by Axel Scheffler´s warm and witty illustrations. In a dark dark house in a dark dark cellar live some... skeletons! Join big skeleton, little skeleton and dog skeleton in the highly popular classic Funnybones. There was once a herd of elephants, all happy and all the same colour. Elmer was different. 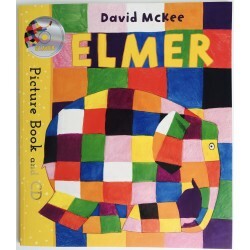 Elmer was patchwork. 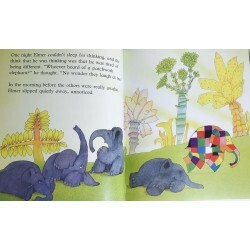 Elmer was not elephant colour.